Do you suffer from back pain? Tried everything? Still in pain? Here is spine surgery to get off from back pain. 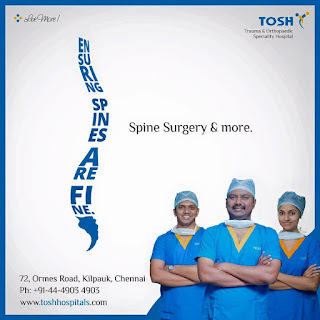 TOSH Trauma & Orthopedic hospital offers the best spine surgery in Chennai. Back pain is common among people of all age groups. Trauma, injuries to spine, aging etc are the reasons for back pain. Almost all back pain can be cured by physiotherapy, proper medication or by any other non-surgical procedures. When all these treatments fail, surgery is the preferred solution to get rid of back pain. This surgical method is preferred if the following symptoms occur. This surgery is done to remove herniated disc material that is pressed on to the spinal cord. After surgery the patient gets complete relief from pain. This surgery which is done to expand the narrowed hole that spinal nerve pass through as they exit the spine. This narrowing can cause the following neurological symptoms. This surgery is done to remove bone spurs. In addition to this, bones and damaged disc are also removed. Experience difficulty in standing and walking. In addition to above spine surgeries Spinal fusion (surgical method of joining two bones), Disc Replacement, Vertebroplasty/ Kyphoplasty ( here bone cement is injected into fractured bone to relieve pain) etc are also performed. 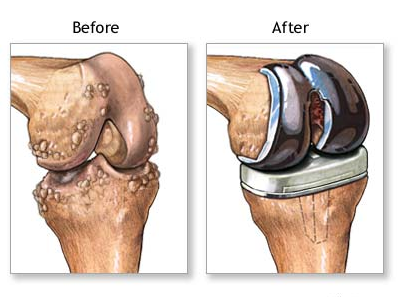 TOSH Trauma & Orthopedic hospital contains experienced orthopedic surgeons to perform the spine surgery. Come and see how we can guide you back to health.